Tattoos with a twist! 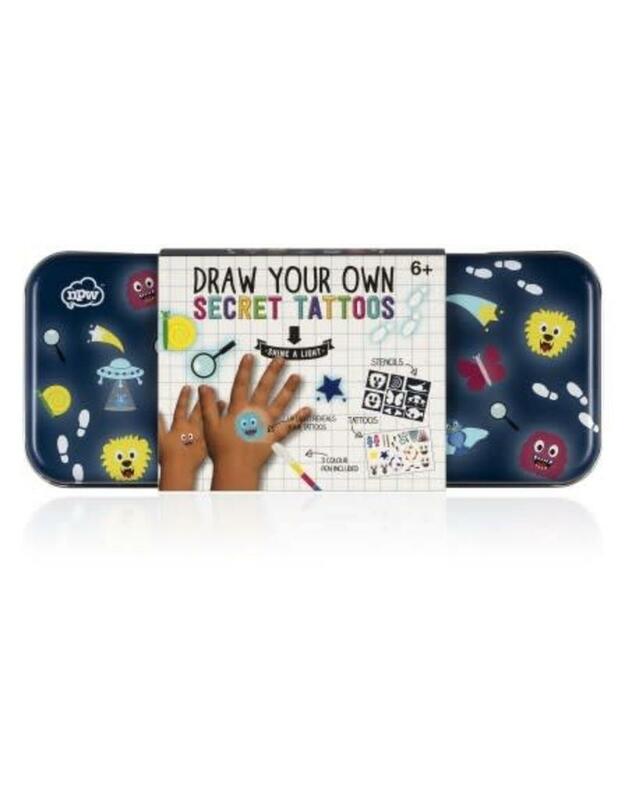 This Secret Tattoo Tin has all the tools to create your super secret tattoos. Apply the fun transfer and color in the stencils using invisible ink. 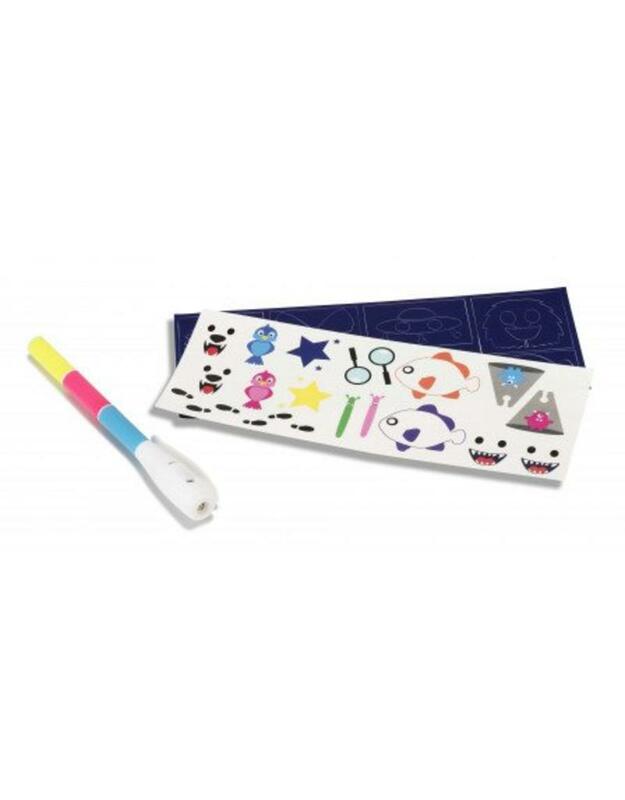 Shine the UV pen and reveal your hidden piece.